"Grizz", the Challenger Superbird that was ripping through the Texas Mile!! “Grizz”, the Challenger Superbird that was ripping through the Texas Mile!! This Superbird is one hell of a ride! Classics are pretty expensive and not many can afford to keep that kind of beauties in the garage. However, this guy here took a different direction. He created a high-powered version of the well-known Superbird that will blow your mind! 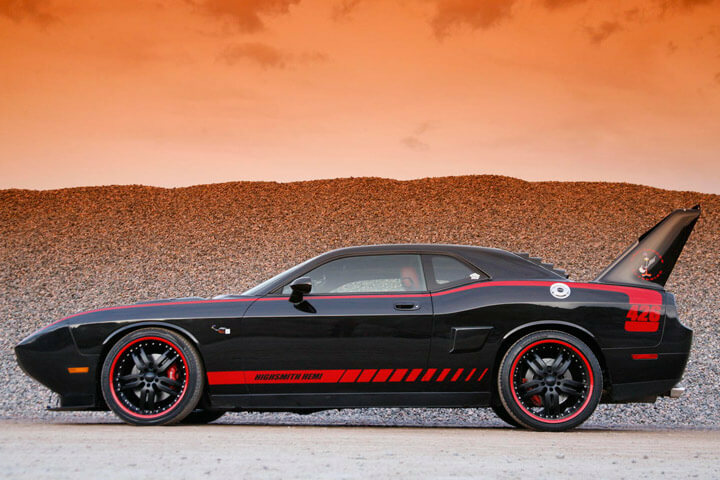 This unique custom Challenger Superbird, called “Grizz”, belongs to Joel Highsmith and it surely is one of the coolest Mopar muscle cars out there. This hell of a ride cannot be compared to the actual classic but you have to admit that it is one hot ride. Under the hood of this thing there’s a V8 supercharged 408 cubic inch and with it, Grizz reaches 194 mph!!! Check it out! Ken Block Gymkhana 8 – This time in Dubai!!! Bottoms Up Cooler Scooter! Shut up and take my money! Excavator fight to death – The combat of the century!! !